RF subsystem and backend designers and integrators. Mostyn Enterprises commenced its manufacturing business operations in 1967. It is involved in the Manufacturing, Design and Integration of Electronic Equipment. It has represented Overseas International Companies for the past 30 years. Main business has been with the Defence and Dual Technologies sector. Mostyn Enterprises are pleased to advise we are exhibiting at MILCIS. We can found at stand 14 and will be exhibiting our new 6x6 automated RF matrix switch and 1KW HF power amplifier. Congratulations to Evans Capacitor Company! We were pleased to hear that the US Small Business Administration has awarded Evans Capacitor Company the "National Subcontractor of the Year" award for their great work in supplying Lockheed Martin's Missiles and Fire Control unit. The Australian Chapter of the Association of Old Crows will hold its biennial convention from the 28th – 30th of May 2018 at the Adelaide Convention Centre. We are proud to announce we will be exhibiting alongside our friends at Planar Monolithics Industries (PMI). 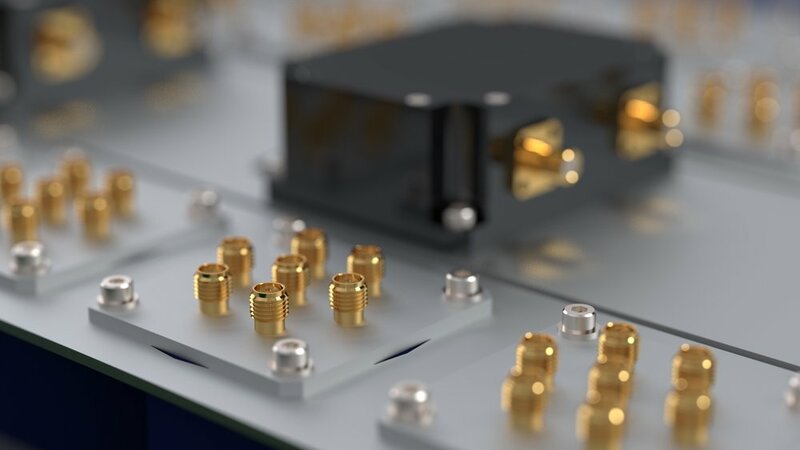 Dynawave is the leader in the design and manufacture of high quality, standard and special, RF and microwave DC-60GHz connectors, adapters, blindmate interconnecting components and cable assemblies. The purpose of the unit is to provide protection to the RF power amplifiers and/or radios due to damage to antenna systems or connection to inappropriate antennas. This can be used as a standalone product or in conjunction with our tunable filter and/or fixed filters. Configurations up to 24x24 can be developed on request. SMA input and TNC output connectors. Swappable on request.